AppBurst’s pricing model for mobile apps aims to give prospective clients a simple and readily accessible resource to better understand the costs associated with our mobile app solutions and maintenance. Making pricing available at the onset enables companies and organizations to budget for potential costs much earlier in the process and better understand the factors that dictate a development project. The Standard, Professional, and Enterprise app tiers all include an associated set-up cost involving everything from project management and content integration to development and submission to the app stores. The subsequent monthly fee accounts for hosting of content, access to the AppBurst Dashboard, as well as maintenance and support required to ensure every app remains a valuable tool for its user base. The most time-intensive part of a mobile app development project involves the initial setup and development process. From signing a contract and being assigned a full-time product specialist to seeing the app available in the app store, a number of steps must be accomplished best explained by the AppBurst Experience. Setup costs for a mobile app takes the project from its early beginnings to a finished product available for users to download in Apple's AppStore, Google Play, and more. Mobile apps are made available on ever-evolving mobile devices with constantly upgraded operating systems. Ensuring each mobile app is bug-free and provides a great user experience thus requires significant maintenance. The monthly fee also covers the AppBurst Sky, a set of web servers built on the extremely reliable and global Amazon Cloudfront and Microsoft Azure Cloud to ensure users around the world are able to install the app and download updates quickly and efficiently. Finally, the product specialist responsible for the setup period and ensuring a perfect finished product remains available every business day in an ongoing support role to answer questions and provide assistance via email or phone. The monthly fee is meant to bring down the initial setup costs and more accurately portray when resources are used to develop and maintain a quality mobile app. AppBurst’s core features are available at every price level to simplify the purchasing process and ensure every mobile app is of the highest quality. Every mobile app developed by AppBurst may be made available to across all supported platforms and downloaded by an unlimited number of users. The AppBurst Dashboard is also made available for every app to not only upload and edit content, but perform actions such as sending push notifications, accessing analytics, and more. Finally, every AppBurst mobile app provides companies and organizations with a number of premium themes and the ability to dictate color schemes and branding. AppBurst offers a host of mobile app features for any industry. Learn more. AppBurst’s three major app tiers are largely based on the number of content items and sections making up a mobile app. A mobile event app with 1,000 sessions organized into various categories and tracks, for instance, is much more time-intensive to setup and maintain than a mobile gaming guide containing 50 PDF documents. The amount of content thus serves as the foundation to transparently determine the cost of each app. Other features become available with an upgrade to a higher tier or alternatively can be acquired on an a la carte basis. Features not automatically included at all price tiers typically involve more development time and maintenance or provide significant ROI to the app owner. AppBurst’s goal is to minimize the a la carte method in favor of transparent tiers that make the most sense for each client’s goals based on the amount of content in the app. In the event one or two additional must-have features are required, they can easily be added to ensure all deliverables for the project are met. Engagement with users is an integral part of nearly every mobile app. Basic social media integration, feedback forms, and so forth are available at every pricing level, while advanced features are available as an added cost or included in the Professional and Enterprise packages. AppBurst’s login options enable companies and organizations to password protect app content with a single global login or alternatively implement an advanced option for individual logins with a registration process and unique credentials for each user. The former is a great way to effectively protect content from the general public, while the latter gives more control over segmenting content, creating roles for various user groups, and tracking user activity in the app. Check out AppBurst's feature page on User Password Login and Authentication. General app setup and ongoing client support sets the foundation for any AppBurst development project and is included at every pricing level with a dedicated support specialist available via phone or email to answer questions, concerns, or to make changes to the mobile app. Additional support is available as needed based on individual project needs such as on-site support at an event or data management to handle every aspect the content upload process. Customized needs are often inevitable with a mobile app development project and AppBurst provides a number of solutions to ensure every company and organization is able to meet their goals. Available options include custom app themes, graphic design services, and content integration with 3rd-party data management systems. 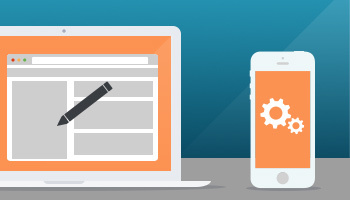 AppBurst also knows that no two mobile app development projects are exactly alike. While the majority of client needs fall into one of the three price tiers—with possible add-ons—occasional projects require a completely customized solution with different pricing. AppBurst can accommodate virtually any set of needs on a case by case basis and is happy to discuss unique and custom projects.